A welcome return for the Royal Opera House's Young Singers in a recital following 6 previous evenings of wonderful performances for KCL. 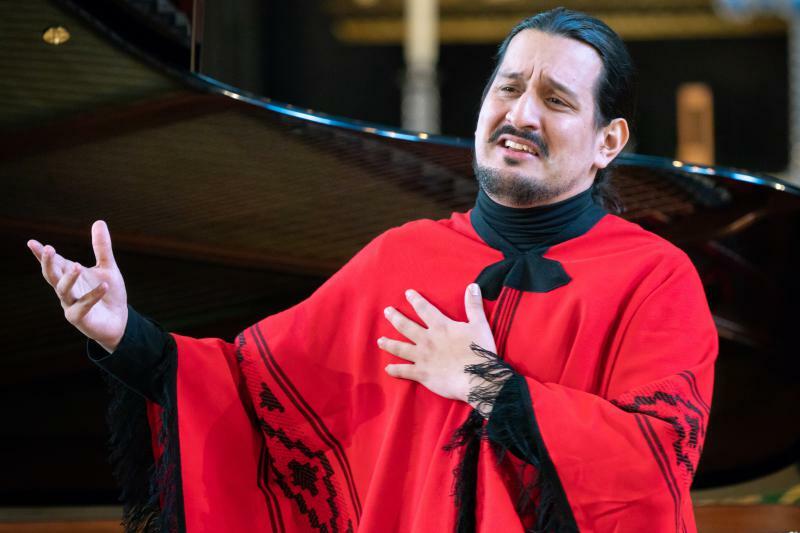 In 2019, the ROH is presenting two brilliant young stars of the opera world: soprano Yaritza Veliz and baritone German Alcantara, in a recital of songs and arias. Come and hear Yartiza and German in an intimate setting with good acoustics. Remember that the proceeds all help support Keats Community Library. Argentinean baritone and Jette Parker Young Artist Germán E. Alcántara makes his Royal Opera debut in the 2018/19 Season as Dancaïro (Carmen) and will also sing Baron Douphol (La traviata), Wagner (Faust) and Dumas (Andrea Chénier) for the Company. Alcántara studied at the School of Music in Misiones, the National University of Cuyo-Mendoza, the Maîtrise de Notre-Dame de Paris (under Rosa Dominguez) and the Reina Sofía School of Music in Madrid (with Ryland Davies). His opera repertory includes Uberto (La serva padrona), Aeneas (Dido and Aeneas), Juan Pedro (La rosa del Azafrán), Blas Infante (Elegia Granadina) and Alférez Real (Fiesta de Corpus Christi) in Argentina, Milord (L’italiana in Londra) with Le Parlement de Musique, Marcello (La bohème) and Don Giovanni with Escales Lyriques and Hermann and Schlemil (Les Contes d’Hoffmann) for Opéra de Metz. Alcántara’s concert repertory includes Mozart’s Requiem and Great Mass in C minor, Schubert’s Mass in G, Handel’s Messiah and Buxtehude’s Membra Jesu Nostri in Argentina, Rossini’s Petite Messe Solennelle with the Philharmonie de Paris and Mozart’s Great Mass in C minor for Rheingau Music Festival. He has recorded Misa Palatina with the Chamber Choir of the National University of Misiones. His awards include First Prize in the Concurso Bach Joven in Paraguay, Second Prize in the Concurso para Jóvenes Estudiantes de Canto Lirico in Buenos Aires, First Prize in the Concours Lyrique International ad Alta Voce in Paris and the Priz Artifex Proart in the Concurso de Zarzuela de Valleseco. He is also a Laureate of the 2018 Queen Elisabeth Competition. He is currently studying for a PhD in Music at the University of Aveiro. Chilean soprano and Jette Parker Young Artist Yaritza Véliz makes her Royal Opera debut in the 2018/19 Season as Barbarina (Le nozze di Figaro) for the Company. Véliz studied at the Universidad de Chile with contralto Carmen Luisa Letelier, supported by a scholarship from the Corporación de Amigos del Municipal de Santiago. She also attended the Castelton Artist Training Seminar in Virginia. Her operatic appearances include Zaida (Il turco in Italia), Roggiero (Tancredi), Zerlina (Don Giovanni), Magdalena (Cristo del Elqui), Musetta (La bohème), Jano (Jenufa) and Clorinda (La Cenerentola) for Chile’s Teatro Municipal de Santiago, Pamina (Die Zauberflöte) for Teatro Municipal de Concepcíon, Musetta for Teatro Argentino de la Plata and Luigia Castragatti (Le convenienze ed inconvenienze teatrali) for Teatro Municipal de Las Condes. She joined the Jette Parker Young Artists Programme in September 2018. 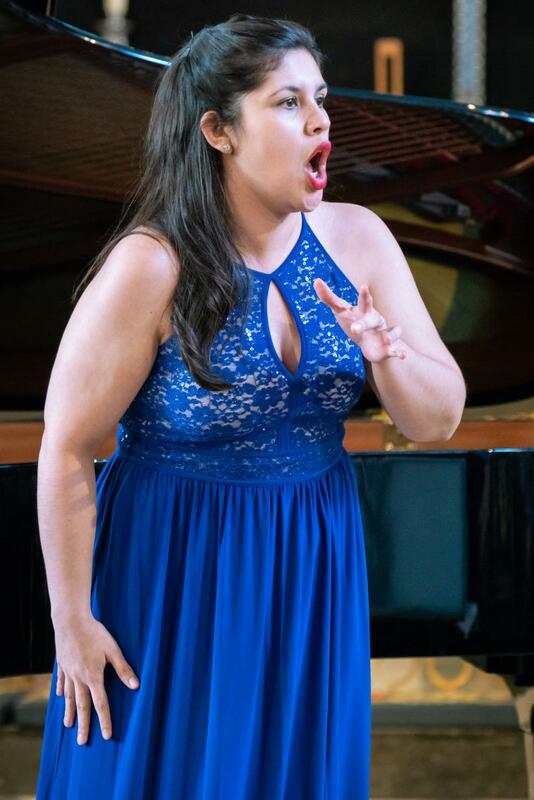 Véliz has won the Women in Music Competition organized by the Chilean chapter of the National Museum of Women in the Arts (from Washington DC) and Third Prize in the Laguna Mágica International Opera Competition. David Gowland is Artistic Director of the Jette Parker Young Artists Programme. He has been associated with the Royal Opera House’s Young Artists Programme since its inception in 2000, initially as Director of Musical Preparation and from 2006 as Artistic Director. He regularly accompanies the Jette Parker Young Artists in recital. Gowland studied at the Royal College of Music, where he won several prizes for piano accompaniment, and at the National Opera Studio. He joined the Glyndebourne music staff in 1987, winning the 1988 Jani Strasser Award, and worked there for 20 years. He was Head of Music Staff at the Grand Théâtre de Genève 1989–96, assisting such conductors as Bruno Bartoletti, Bruno Campanella, Mark Elder, Philippe Jordan, Emmanuel Plasson, Jeffrey Tate, Christian Thielemann and Edo de Waart. He has worked as assistant conductor/senior coach with companies including Paris Opéra, Dutch National Opera, Royal Danish Opera, Rome Opera, Teatro di San Carlo, Naples, Théâtre du Capitole, Toulouse, Teatro Real, Madrid, and the festivals of Aix-en-Provence, Chorégies de Orange, Salzburg and Wexford. He was senior coach on Der Ring des Nibelungen under Tate in Australia. Concert work has included the Edinburgh and Aldeburgh festivals and the BBC Proms. Gowland is a visiting tutor with National Opera Studio, British Youth Opera, Scottish Opera Emerging Artists, New National Theatre Tokyo and all the major British conservatories. He is a regular jury member for national and international competitions and has given masterclasses in Holland, Italy, Lithuania, Spain, Sweden, Argentina, Australia, Brazil, Chile, China, Colombia, Japan, Korea, Mexico, South Africa, Sri Lanka and Turkey.